Keep an eye out for our great eco-friendly gift specials on this page. The Unity Bamboo Pen is a great eco-friendly corporate gift set. The barrel of the pen is made from renewable bamboo and the trims and metal clip from polished chrome brass. 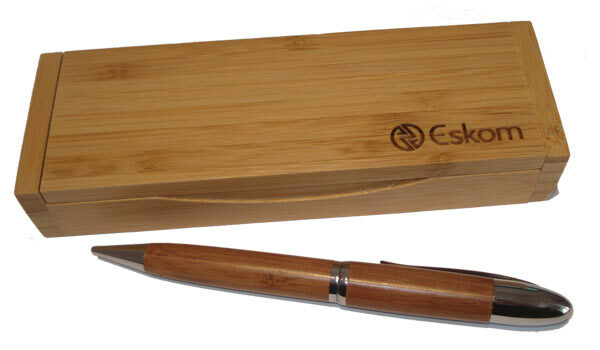 This great gift pen comes in a beautiful bamboo giftbox and can be branded with a laser engraving or a pad print. The Unity Bamboo Pen makes a great corporate gift and shows that you care about the environment.